Doing things a little differently around here these days. Going to a large format sheet and multiple subject sheets. And since we're launching a new series of 3 adversary sheets, why not start off with a Tomcat heavy sheet first. 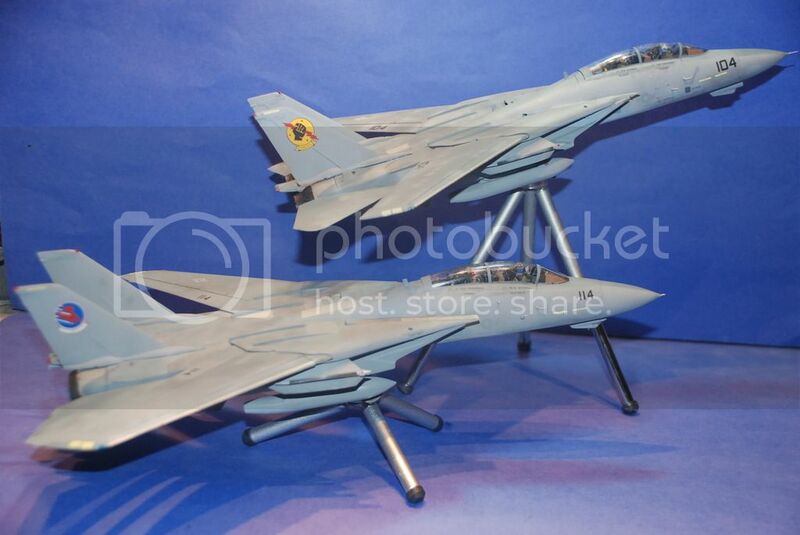 On sale Sept 1, this sheet covers F-14A, A-6E (metal and composite wings) F/A-18A, F/A-18E/F and EA-18G. Unless I've totally missed the boat, just in time for the 30th! Last edited by Sabre Freak; August 20th, 2015 at 09:35 PM. 4 for 4 by the end of the year, I'd suspect. you got a sheet coming with viper and jester? I don't suppose you have any profiles? Are you sure this work is in competent hands? Soitenly, we're all incompetent. Any luck on these becoming for sale yet? Whollley guacamole! Are those squadron patches and helmet markings for mini-Mav, mini-Goose, mini-Slider and mini-Iceman? Looks like it's already up on the website. Last edited by John B; April 16th, 2016 at 12:48 PM. That... is... BAD... A$$!!! Nicely executed. Do you have any images of the decals applied to the helmets? BTW - Next month is the 30th anniversary of the movie premiere in 1986. 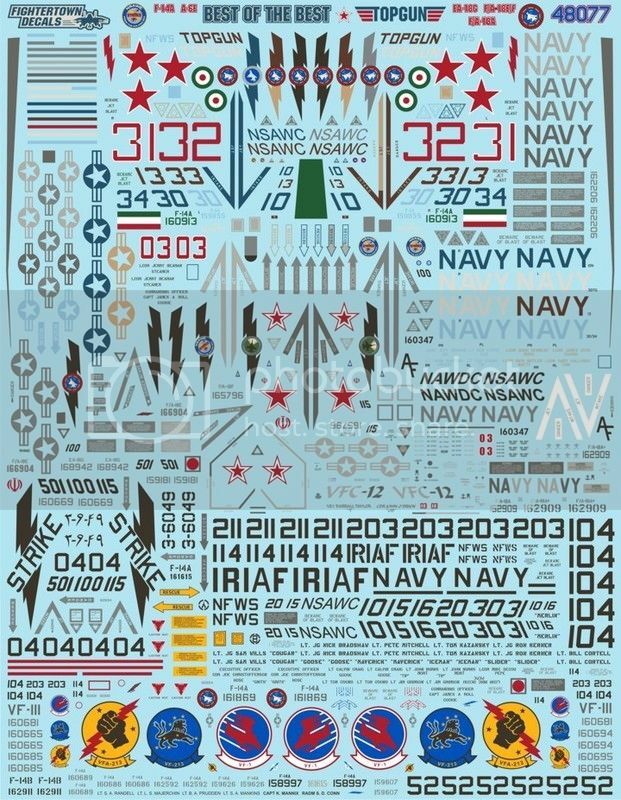 I accept the 1/144 decals from this sheet as a donation!